(Not Legal in California and w/High Capacity Magazine). The GripZone™ doesn't stop with new grip textures. 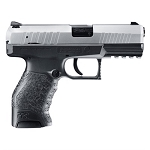 The re-contoured, slimmer frame and slide add up to a far more natural grip feel that has nearly twice the magazine capacity and is only 2 tenths of an inch thicker than single stack conceal carry models. The High-Hand™ grip relief and High-Hand™ beavertail enable the hand to be positioned as high as possible toward the barrel bore thereby greatly reducing the pistol’s felt recoil. The no-snag trigger guard minimizes possible unintended contact with a holster or clothing. All of these GripZone™ advantages are ergonomic features that you will truly feel. 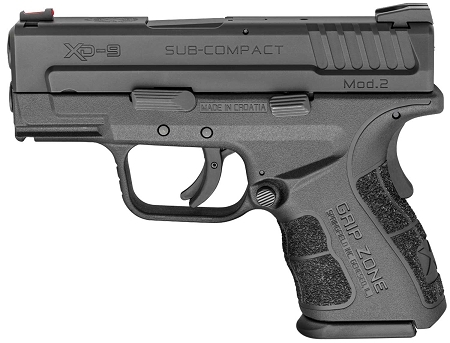 It all adds up to a pistol that naturally and comfortably stays positioned in your hand. • Trigger: 5.5 - 7.7 lbs.